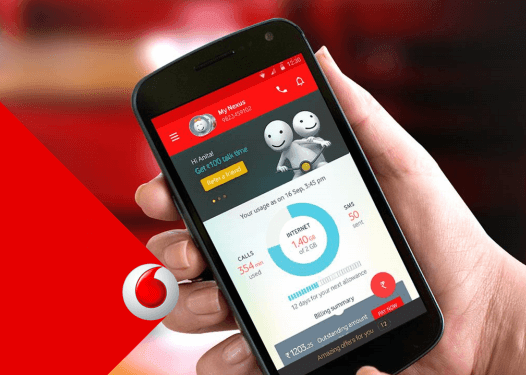 Country’s second largest telecom operator Vodafone India today launched 4G services on 1800 MHz in Delhi and NCR. As part of the launch, the company is offering free upgrade to 4G for customers along with high-speed 4G SIM. It has joined hands with a number of device manufacturers such as iPhone, Samsung, Micromax, Microsoft, Lava, Xolo among others for 4G-enabled handset devices. The company is offering an array of data packs ranging from 35 MB at Rs 11 to a bonanza pack of 20 GB at Rs 2,499. The company plans to increase the intensity of its 4G rollout to cover important metros –Mumbai and Bengaluru shortly. With this, 4G services will be present in five circles of Kerala, Karnataka, Mumbai, Delhi and NCR and Kolkata, which today contribute to 30% of industry revenues and close to 50% of Vodafone India data revenues. Finally 4g is available in South Delhi. I was using 4g in South Ext. part 1 at my friend’s house today. And that was a fast roll out. They just rolled out 4g in Gurgaon on 3rd feb and here it is in the Delhi Capital region on the 5th. I have been using Vodafone 4G (LTE) network since last 3 weeks ,tough they haven’t launch commercially but you can just walk into vodafone store and can get 4G SIM card. I have been getting 11-15 Mbps avg Speed. And unlike earlier I get continuous data service. Even 3g network also is better than early. As they have launched their own 3g network in Karnataka (without using Airtel network). Follow me @ twitter.com/akislay for my speed test.